Designed by the LaCroy Chemical Company, Edge Essentials is supposed to be the ultimate female aphrodisiac. Containing a secret ingredient to go along with pheromone called androstenone, we have no idea what this may be, or how much of it is in Edge Essential. 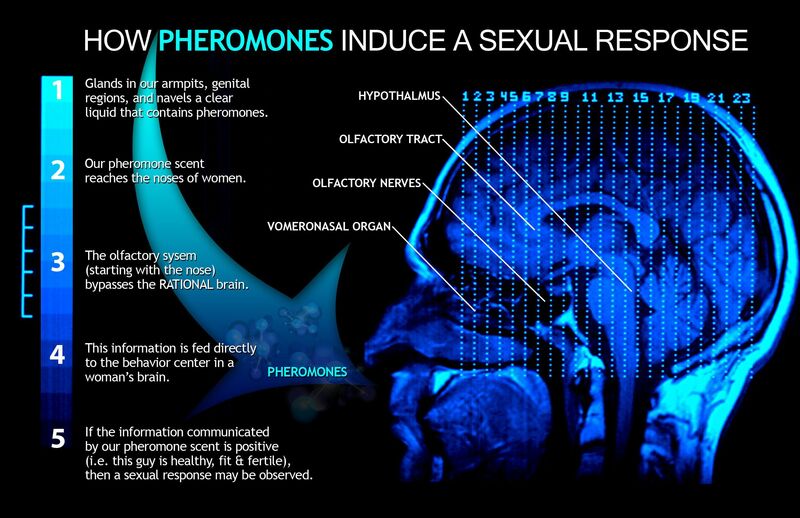 What we do know is that there is 2.4 mg of the pheromone androstenone in a 24 ml bottle of Edge Essentials. Edge Essentials comes in two different formulas for men. The scent is known as “Arouser” has a natural cedarwood essential oil. The scent is known as “Heat” is blended with vetivert and essential oils. These oils are used because of their natural ability to affect the moods of the people that are around us. These essential oils work together with the natural pheromones that are produced by the body and the extra pheromones in Edge Essential. Together they get a much higher response from women than the regular unscented Edge. Edge Essentials has been known to last from 2 to 4 hours. The scent comes off as being very strong at first, so be careful not apply too much of the product to your body. Seeing that the product is applied by a spray on application, there is no way to apply a lesser amount. Only use 1 or 2 sprays when you are putting it on. Due to the strong scent, you may even choose to use a half spray, or spray it on to a washcloth and then rub it on your skin. This may result in you getting less of the product on your skin during the application process, and may cause you to get fewer reactions from women. As with any pheromone product, the results are going to vary. You have to consider the amount of the product that you are actually using, and how well it fuses with your body chemistry. Some people claim that it has made them utterly irresistible to women, while others have claimed that they did not see any change in the reactions that they received from them. Some have claimed that the products smell wasn’t really something that women were attracted to. It seems that if you are wearing a product that is supposed to make you more attractive to women, it would also contain a scent that they would find attractive. Edge Essential comes with a 30-day money back guarantee. If you are not satisfied with the results that you receive while using the product, you can get a full refund. The reviews from people that use Edge Essential are very different. You would have to use the product yourself to see if you get the positive results that you hope for. The smell might be a turn off to some women. Edge Essentials does contain the pheromone androstenone and this is supposed to enhance the natural pheromones that you create, but these results are unproven. The scent was not pleasant and was very strong when first applied. If you are looking for something to increase your chances with women you can try this product. It might not make you irresistible, but it won’t make them run away from you either. It might just end up being a regular night out.